Every year, a new generation of graduates is unleashed into the world. Many speeches will be delivered on this occasion. Some will inspire enthusiasm. Others will bore their listeners. 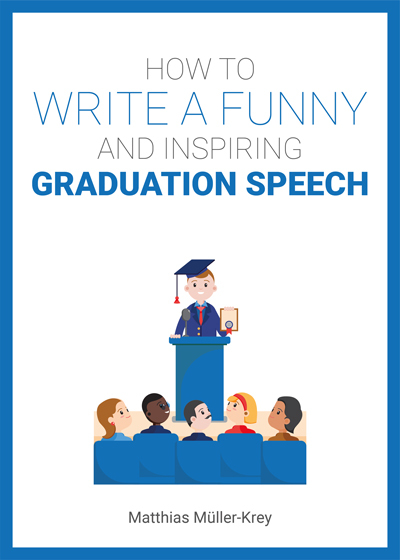 If you want to give a speech that makes your audience laugh, applaud and rise from their seats, then read these five tips for funny and inspiring graduation speeches. 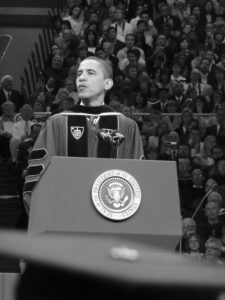 Seven inspiring graduation speeches by some of the world’s greatest speakers you can find here. The humor in the speeches delivered by the graduates themselves is often a bit different from that of older speakers. The humor in the speeches by graduates often plays with the fact that now, after passing the exam they afford to speak up more freely. Hundreds of funny and inspiring ideas by America’s top graduation speeches can be found here. Graduation speeches provide an opportunity to provide some tips for a successful future. However, it is necessary to present pieces of advice in a light way. The best way to do that is – you might have guessed it – add a pinch of humor. Lots of witty phrases for graduation speeches can be found here. Well-worn phrases will make your listeners lose interest very quickly. The worst concentration killers are banal phrases like “Today is the first day of the rest of your lives” or “it’s tough out there” or “I’m here to tell you something about real life”. Clichés like these have little meaning, but they have great potential to bore your listeners. Therefore you should have a close look at your finished text and see if you can detect and cut out such phrases. A rousing graduation speech needs a hilarious opener, humorously-packaged wisdom and a crisp conclusion. However, there is something even more important than all this: your enthusiasm. Your audience must feel that you are excited about the things you are telling them. Unfortunately, this is something many speakers struggle with. The reason for this is usually stage fright. Some people are simply too scared of public speaking to ignite the spark in their audience. More humorous phrases that will relax even the most terrified of speakers can be found here. Take these five tips to heart and you will give a graduation speech that will sweep your audience off their feet. Good luck to you!